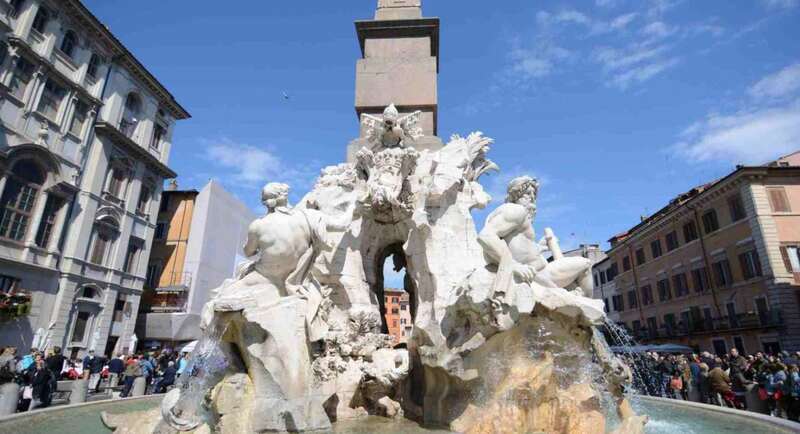 Hi JP, I am very excited about planning my first trip to Europe and it is going to be Italy.I have 4 to 5 weeks and plan to go from Sept. to end of first week in October. I will be 55 yrs of age at the time of the trip and my older brother will be 67 yrs. I want to see all and do everything I can. I’ve been doing some research and seen suggestions of 5 days in Rome, a few in Venice, sleep in a castle in Tuscany, etc. I was wondering if you may be able to elaborate on what a good 5 week itinerary might be and when a rental car would come in handy vs. taking the train? Any advice you could provide would be soooo appreciated! 🙂 Excited and looking forward to our trip to your beautiful country. Hi Laurie, here are some ideas for a lucky person with 5 weeks available to visit Italy! September is a fantastic month to visit Italy you won’t be disappointed. Since you have enough time, let me try to suggest some off the beaten path destinations. – Land in Milan, plan 1 day to visit the city + 1 day trip to Como lake (Bellagio). You may also spend a night there. Train + Ferry. – Try to get in Venice on time for the Regata Storica (http://www.regatastoricavenezia.it/?lang=en&pg=1&page=1), it’s quite an event. Padova may be worth a day trip. Don’t miss Burano and Torcello. – Train to Florence, spend there 2 nights. – When you are finished with Florence, rent a car and start your Tuscany exploration: To the North: Lucca and Pisa; Close to Florence: Chianti area (consider sleeping in Castellina in Chianti), Siena + Monteriggioni + San Gimignano, then to the south Val d’Orcia (Montalcino, Pienza, Bagno Vignoni, Montepulciano). You may need 4-7 days to visit all the above. End your tour to Orvieto. – Opposite Tuscany you may want to visit Umbria, as beautiful and rich of culture, but less touristic and crowded. Dedicate 3-4 days to Gubbio, Assisi, Spoleto, Perugia, Todi, Orvieto. – Leave your car in Orvieto then train to Rome. Spend there as many nights as you wish, you could stay one month and still get amazed! Refer to my post “Rome in 5 days” for more details. – From Naples, catch a low cost flight to Sicily. Catania region is my favorite (Catania, Siracusa, Noto,Taormina). A car may be needed. Eolian islands could be an alternative fantastic destination if you are just looking for relaxing in a volcanic archipelago lost in time (in that case you’d better take the night boat from Naples – you can use Salina as your base and then spend 5 days visiting the other islands). Most of these destinations are covered in my blog, just use the search function to find more about the places you are interested in. If you add up all the nights you may get more than 5 days – just pick the destinations you like the most… and start planning your next trip to Italy! Hope this helps! If you found this advice useful, help me promote Delightfullyitaly.com: go to my Facebook page (https://www.facebook.com/delightfullyitaly), click “like” and share your pictures from Italy when you are back!